Cloud Hosting with Full Redundancy and High Availability. 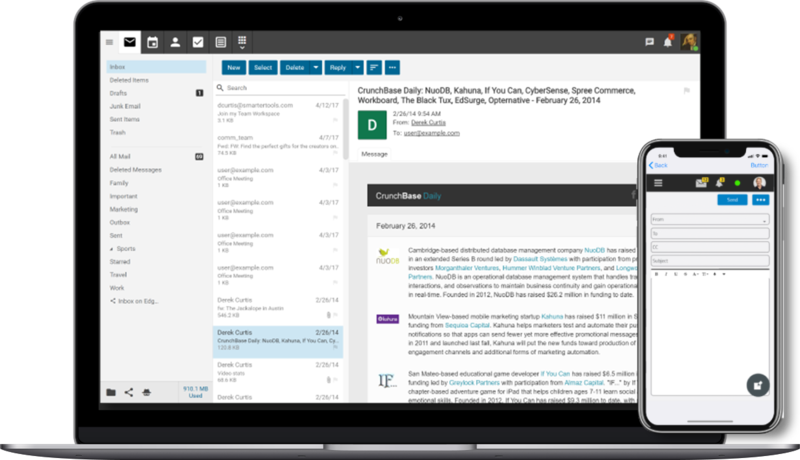 Business Email Solution for Professionals. Dynamail is Shinjiru Premium Email Hosting Solution which is designed to address all kinds of email Issues such as sending and receiving emails, IP blacklist, email server failure, email lost or delay. Dynamail email hosting is a business class email solution, designed for any business which email communication is a vital role. With redundant mail and DNS servers, we maintain our guarantee of no email downtime and the highest server reliability. Do not trust those "fake" Business Email Hosting out there that claimed to separate website and email to different servers for better performance. Bottomline is that they do not have redundancy. If that single email server goes down, your emails will go down. Now Shinjiru has released Dynamail Version 3.0 on the cloud. High availability, full redundancy and scalability. That's Business Class Email Hosting. Give Dynamail a try now and get your peace of mind! 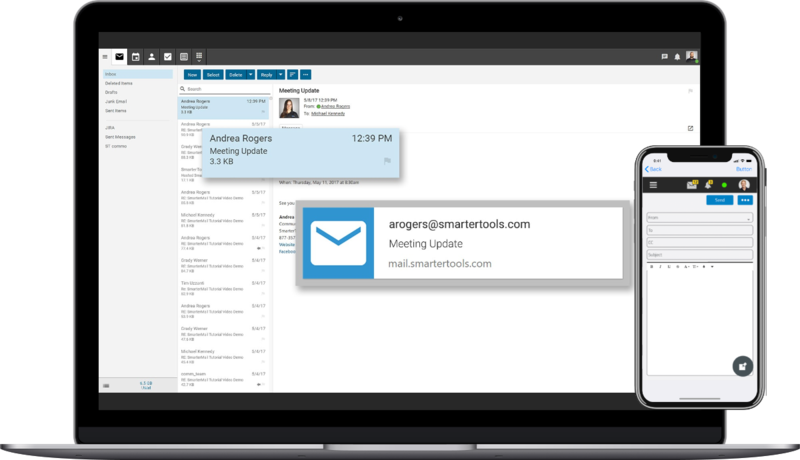 SmarterMail is a powerful team collaboration server designed to help businesses connect with customers, employees and partners using today’s most popular email clients like Microsoft Outlook for Windows or Mac, Apple Mail and a wide variety of mobile devices. 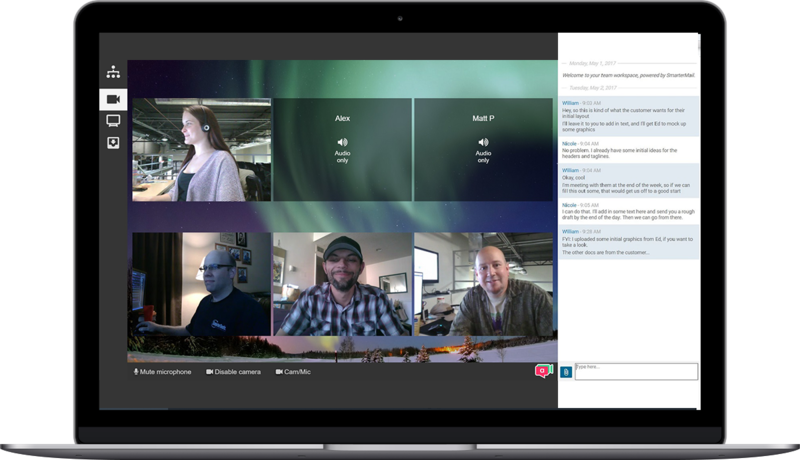 Increase productivity with the enterprise-level collaboration features, such as email and shared contacts, calendars, tasks and notes. From domain administration to full system administration, SmarterMail makes email server administration simple, without sacrificing power or scalability. Built from the betting as a web-based system, any feature and any function can be managed using any browser on virtually any device, both desktop and mobile. SmarterMail’s support for Exchange ActiveSync, Exchange Web Services, CalDAV, CardDAV and more, means you can access your data on the mobile device or desktop application you prefer! Enjoy full collaboration features and synchronize your email, contacts, calendars, tasks and notes to the latest Android, iOS, Windows and Blackberry phones and tablets as well as desktop email clients. SmarterMail's powerful webmail client gives users access to all the feature from anywhere in the world, simply using their preferred web browser. Whether it's on a desktop or mobile device, a consistent look and feel gives users the exact same experience regardless of how they're accessing SmarterMail. Additionally, the webmail client support any language or non-Western characters and much more! Dynamail Email Hosting is equipped with a technology to prevent your Email from IP Blacklisting by regulating outgoing Emails and will cut the time spent with delisting to a minimum. Dynamail is equipped with CAPTOR™ Technology. Once activated, it will capture all incoming and outgoing emails from all email accounts into one single mailbox. 99.9% uptime guarantee with enterprise hardware and redundant network ensure no down time. If we don’t achieve this uptime, we will credit you with no questions asked. 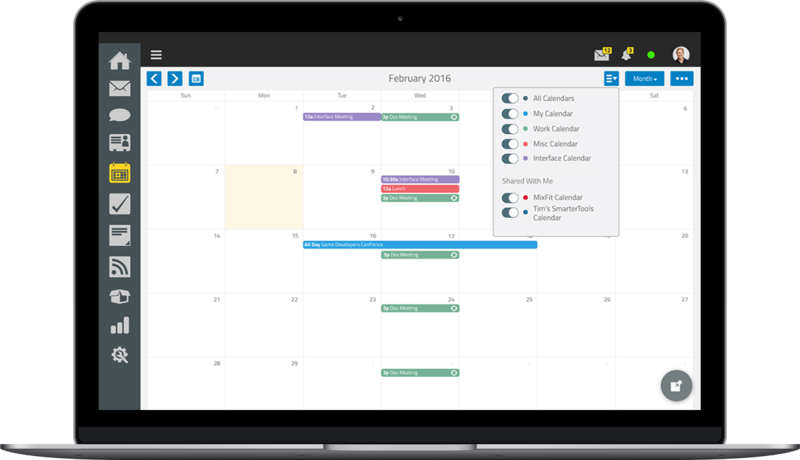 You can now synchronise your Outlook Address Books, Outlook Calendars and Outlook Tasks with your Dynamail Webmail interface. Keep all your data in-sync with DynaMail! Our email servers are located in multiple locations which means that your email will not be affected if one of the servers has network issues or downtime. Enjoy uninterrupted email service with Dynamail! 97% accuracy in email filtering to protect your email and network infrastructure from spams, phishing, malware and virus attack. Our anti-spam solution will ensure email delivery by enabling massage queueing feature if the server is down! Email is meant to be private and secure. Protect your sensitive information in today's mobile workplace with a SSL Certificate. Shinjiru SSL on Dynamail email hosting means that your usernames, passwords, and email correspondence are kept private and secure. 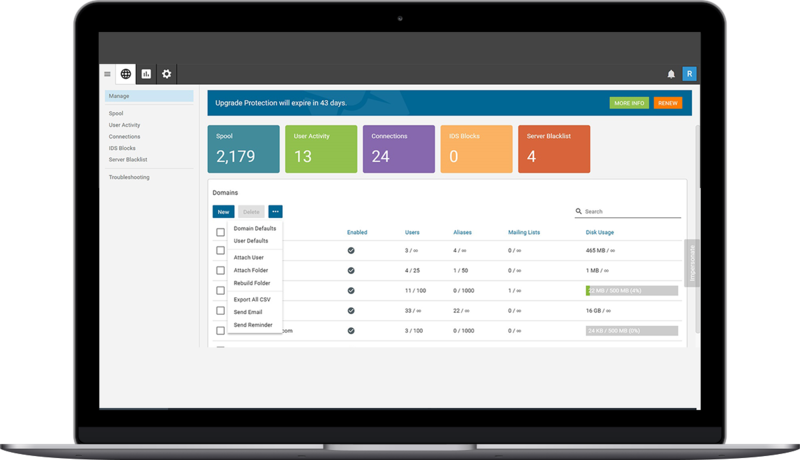 Latest features such as secure email, file storage, group chat, team workspace with 100% web-based mail server, which allows administrators to manage their entire installation from a mobile/desktop browser. What is Dynamail email hosting? Dynamail is Shinjiru’s business class email hosting solution, suitable for small to medium businesses. Our email solution is purpose-built for customers’ that require reliable email uptime, reliability and 24/7 technical support. Does Shinjiru manage the email servers and what happens if I face downtime? Shinjiru will manage and support every component related to Dynamail to make sure your email is always readily available. If downtime has occurred, we provide a Premium SLA for Dynamail meaning a credit rebate will be offered back to the customer once a claim is submitted. Where is my web hosting data located? As a Malaysian web hosting company, we store your data in our 24/7 guarded Tier-3 data centre located in Kuala Lumpur. How many emails can I store in your web hosting? 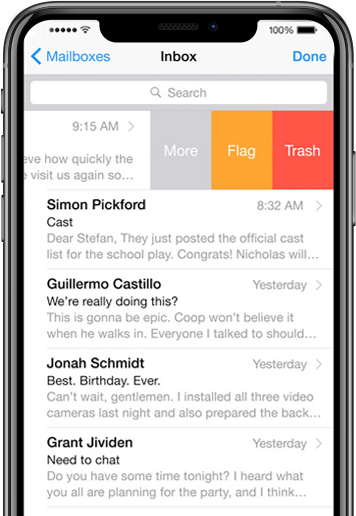 There are no limits on how many individual emails you can store in your mailbox. The only restriction is dictated by how much storage space you allocate to each inbox, the storage space is flexible meaning you can assign different storage capacities depending on your requirements, e.g. 25GB email storage for ceo@domain.com and 2GB email storage for admin@domain.com. Do you have more resource intensive plans? If you have a large storage requirement or have a high outgoing email limit requirement, please contact sales@shinjiru.com.my, one of our friendly team members can advise further on what solutions are suitable for your needs. If I already have an existing email hosting provider, can I transfer it to you? You definitely can! We have a purpose built migration tool just for these situations. Additionally, our specialist team will plan and advise on how we can migrate the data for you. For more information, please contact sales@shinjiru.com.my. Does your solution include Outlook Active-Sync? Outlook Active-Sync is available but as a paid add-on.